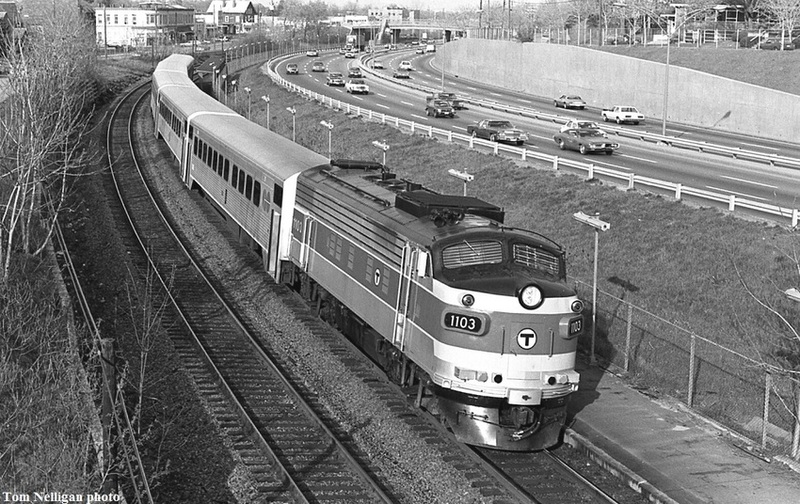 The MBTA leased commuter coaches from Toronto's GO Transit in 1979 and again in 1984, and powered them with FP10s that were able to supply their Canadian standard (575v, I think?) HEP needs. These cars were not popular with riders because of their hard subway-style seats and rough ride. Nearly new FP10 1103 with a set of GO cars made the stop at Auburndale station in Newton on its way to Framingham late on a spring day.